Lindsay Lohan raised eyebrows when she claimed that during her stint in community service in 2012 she was asked to handle Whitney Houston's body bag in a morgue. But on Monday an official for the Coroner's office in Los Angeles told TMZ the beauty's story is flawed as the Saving All My Love For You singer was never in a body bag - she instead was wrapped in plastic - and community service members never got close to the 48-year-old's body. 'Whitney was never in a body bag and no one in the probation program came in contact with Whitney's body,' the official told the site. 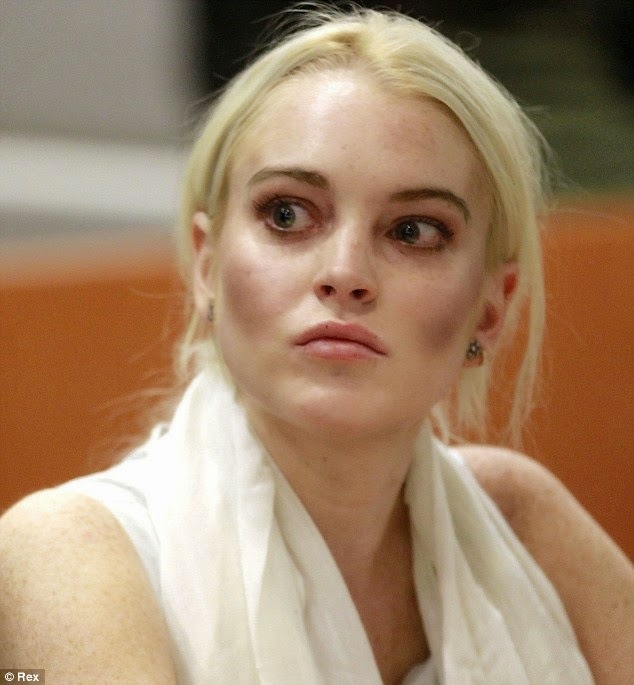 The Mean Girls actress was performing community service because she was found to be in breach in October 2011 for a previous drink drive offense. An unimpressed judged ordered her to carry out 120 hours of community service in 12 hour shifts at the LA County Morgue from 4am to 4pm which she began on October 21st and completed on March 29th 2012. 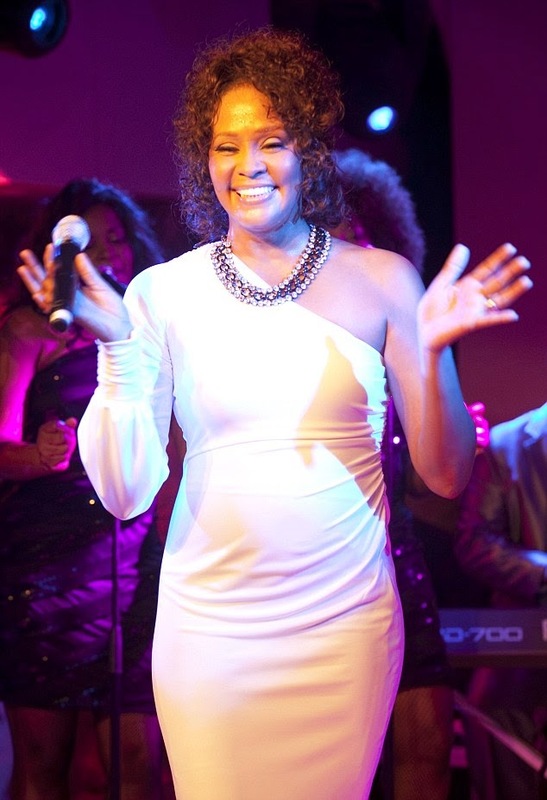 A month earlier on February 11th, Whitney Houston was found dead in a bath tub at the Beverly Hills Hilton ahead of Clive Davis' Grammy Awards party. The multi-talented singer and actress drowned after taking cocaine to which she had battled addiction for many years. It has never been mentioned before that Lindsay was on duty at the morgue that night or in the days following. But the 28-year-old made the revelation in the interview published on Saturday in which she described her morgue duty as: 'F***ed and inappropriate - because a lot of other people were meant to do it, and they were like: "No, they can’t handle it. Lohan can." Speaking of the experience, she added: 'I know it sounds really dark and strange, but I thought it would be a lot worse. I kind of regulated a lot of it. 'I’d tell people: "You didn’t fold that sheet properly" because I’m OCD with folding. Lindsay makes her West End debut at the Playhouse Theatre in London on September 24th. Talking of the David Mamet play in which she takes the role of Karen, a secretary, she said she hopes it will give her the chance to prove herself once again. 'I like the idea of being able to fight for what I lost, essentially,' she said. 'I lost a lot of… I wouldn’t say… I don’t think 'respect’ is the word… trust from a lot of people. And I don’t mind gaining that back. 'In the same interview, Lindsay also blamed her docu-series on Oprah Winfrey's OWN network for forcing her out of New York. She explained to the Telegraph: 'After the Oprah show it was kind of hard for me to be in New York.